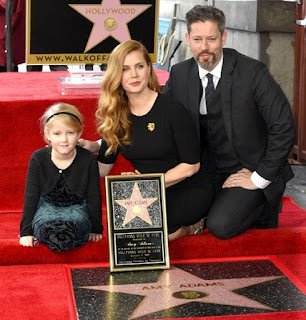 Oscar-nominated and Golden-Globe winning actress Amy Adams received a star on the Hollywood Walk of Fame Wednesday. 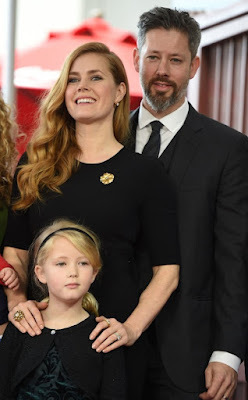 Throughout their careers, he said the two have had many conversations about acting, parenthood and life. As he closed out his speech, he praised Adams for her talents and said what he loved most is their lasting friendship. Before she received her coveted star, she thanked Renner, the fans and everyone who helped shape her career. She also invited her daughter and husband onstage to share the moment with her. "I wanted to take this opportunity to tell you all how much I love you...you guys are the best," she said. "Honestly, I never expected I would have friends and family who would stand by me, who would ground me and who would come today to celebrate me."